LAHORE: Three private workers, including two brothers, drowned in a manhole on Kemahan Road in Nishtar Colony area on Saturday. They were hired privately by some locals to unblock the choked manhole of a housing society, a police official said. The workers were identified as Shahzad, his brother Khawar and Imran, residents of the same area. He said Shahzad entered the sewer line and didn’t come to the surface. His brother got upset and entered the manhole. Later, Imran also moved into water after finding them missing for some time, the official said while quoting the area people. He said toxic sewer gases might have been the result of their suffocation which later led to the deaths. The locals called the Rescue 1122 personnel who shifted them to hospital where they were declared dead. 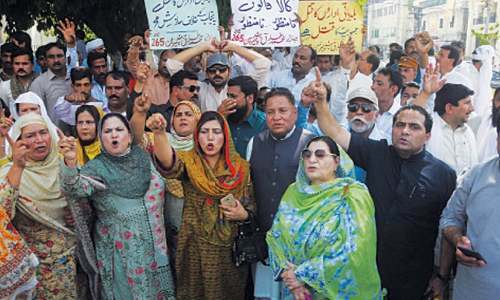 The relatives of the victims and other area people later launched a protest demonstration demanding action against the administration of the society saying they had not provided the workers with protective gear.